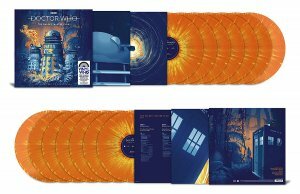 We had such a huge response to our last Doctor who vinyl giveaway that we asked the lovely Demon Records to do another one! This time we've managed to get hold of the Amazon Exclusive Orange Splatter version which is even more limited! Glory days! What year was this story originally televised?